The Innerspec PowerBox 8 is an eight-channel portable instrument capable of generating 2000Vpp or 20kW of peak power per channel at speeds of up to 2000Hz. 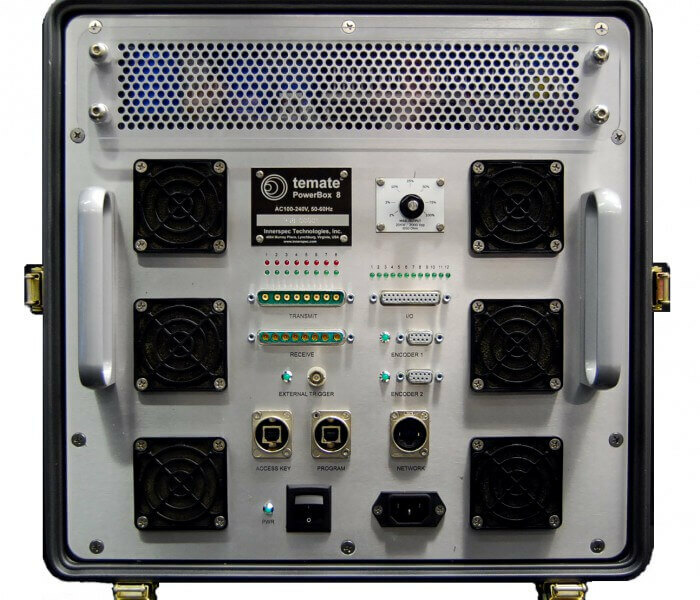 The instruments includes integrated digitizers and broadband pulsers/receivers designed for multi-channel applications such as phased-array and Long Range Guided Waves in pipelines. Spike and tone-burst pulses at frequencies from 50 kHz to 6MHz can be generated to excite a full range of ultrasonic wave modes, including guided waves, in pulse-echo and pitch-catch arrangements. The instrument can operate standalone, and feature internal real-time signal processing, waveform analysis, and alarming. They can also operate in combination with any PC over an Ethernet connection. Two built-in encoder, and 12 programmable Inputs/Outputs facilitate integration with a scanner and other external equipment. 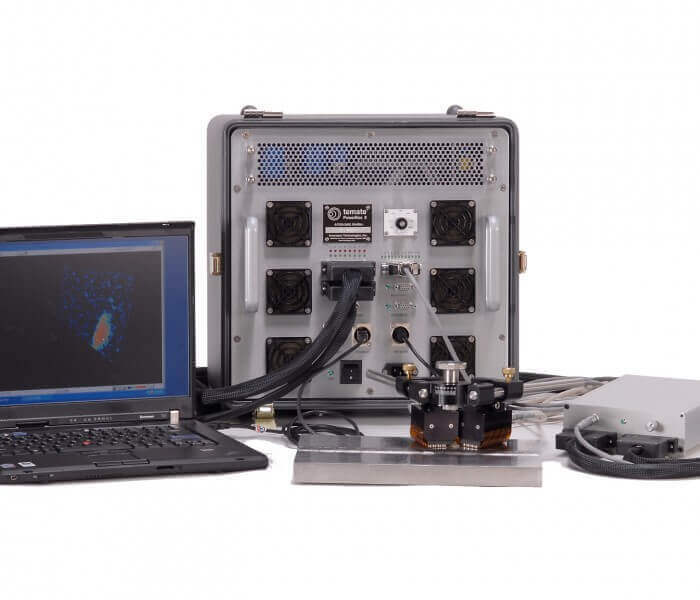 ITOP® software with phased array capabilities is supplied for PC data logging, imaging and analysis. 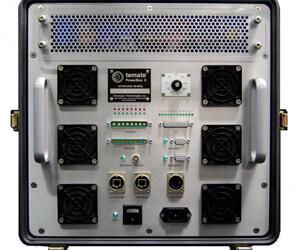 The Innerspec PowerBox 8 can be used with phased array EMAT sensors from Innerspec Technologies. Dimensions 12" x 18" x 9.250"